A unique clutch designed for ease of use. For many drummers, traditional hi-hat clutches have been a source of frustration when trying to change hi-hats quickly. Quick-Set Hi-Hat Clutch (QHC7) is the complete solution to this ever present problem. 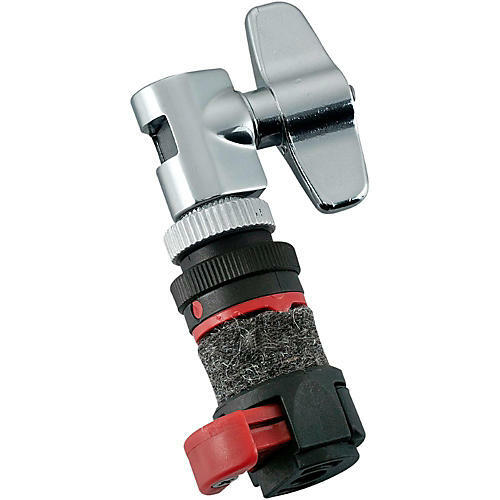 It offers a one-touch lock & release simply sliding a switch on the bottom nut. At the same time, this switch prevents the top hi-hat cymbal from loosening while playing. Due to its unique shape, the upper nut is designed to make the top hi-hat cymbal float more freely, maximizing its natural resonance. *The Quick-Set Hi-Hat Clutch can be used with other manufacturers’ hi-hat rods measuring no more than 7 mm in diameter.